Hi girls, hope you're having a great week. I'm starting to notice how its getting slightly colder, not that this summer was a giant heat wave anyway -_- I'm not sure if I'm looking forward to winter coming, I'm much more of a 'sleeping in the sun like a cat' kind of girl haha. I've finally finished at more! magazine now :( I'm really going to miss the girls and the beautiful beauty cupboard, but they said whenever they need me I can come back so that's made me slightly less sad! 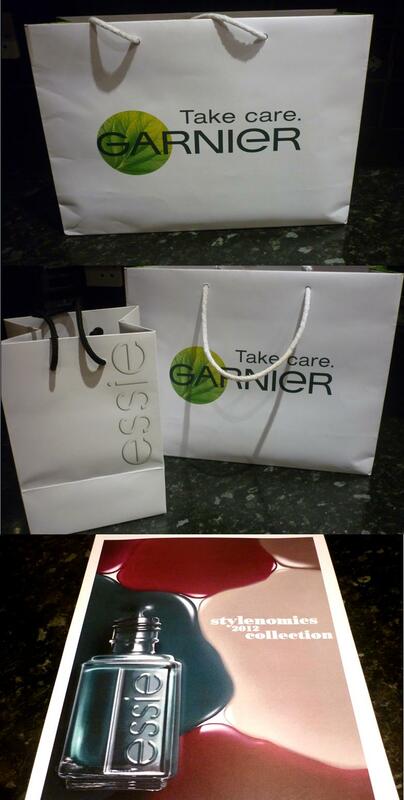 :) I got a giant goody bag to say thank you and wow, I cannot wait to go through everything to show you girls! Out of everything, my favourite must be my Kim Kardashian perfume. We know how obsessed I am with this beautiful woman. I'm thinking of doing a post purely on all of the new perfumes that I've got recently. I must say - I've got quite a few now. I've got quite OCD when it comes to perfumes, I always have to carry one in my bag! Anyway, before I start rambling about my OCD habits, I wanted to tell you about an Essie/Garnier launch that I went to last week. It was absolutely amazing, Zara and Poppy let me go and experience the joy that is a beauty launch. I've never been to one before so it was so lovely of them to let me get myself pampered for the day. It was in the beautiful W hotel (the same hotel that Nicki Minaj and all the X Factor team use for press days). 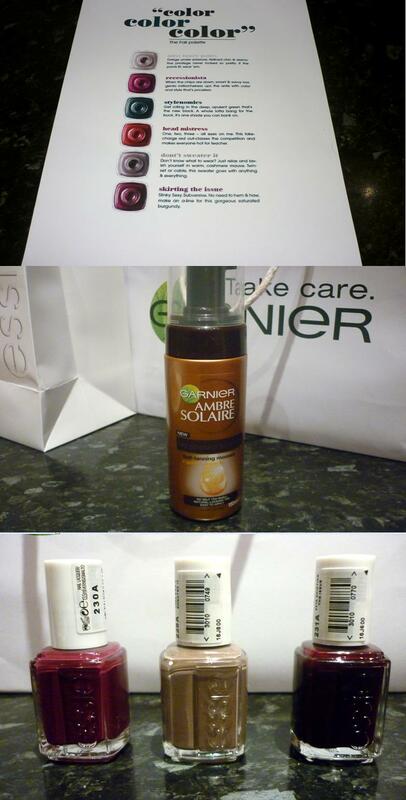 The annoying thing is, I didn't bring my camera that day so I couldn't take any pictures of the hotel :( The launch was for the new season Essie nail polishes and the Garnier tanning range, they gave me a little goody bag so I've taken pictures of it all for you guys! Now, it won't be out until late September but I think its quite nice to show you a preview of what will be hitting the shops. 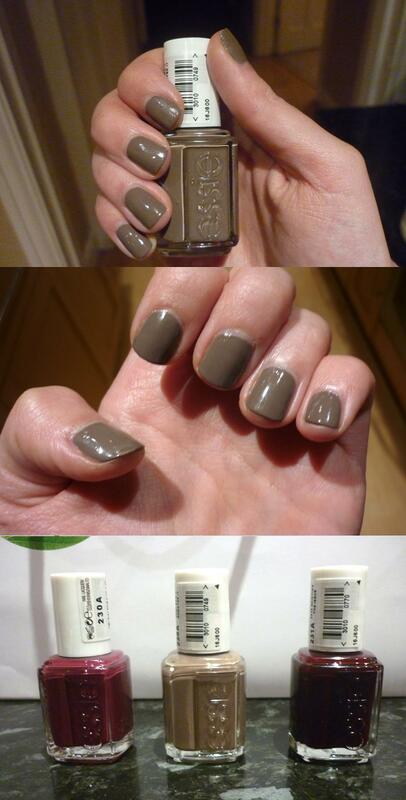 I'm in love with Essie nail varnishes since my sister introduced them too me, I work at TKmaxx and we stock them now!! So i'm definitely going to invest! Love Essie, I need to purchase some more shades!